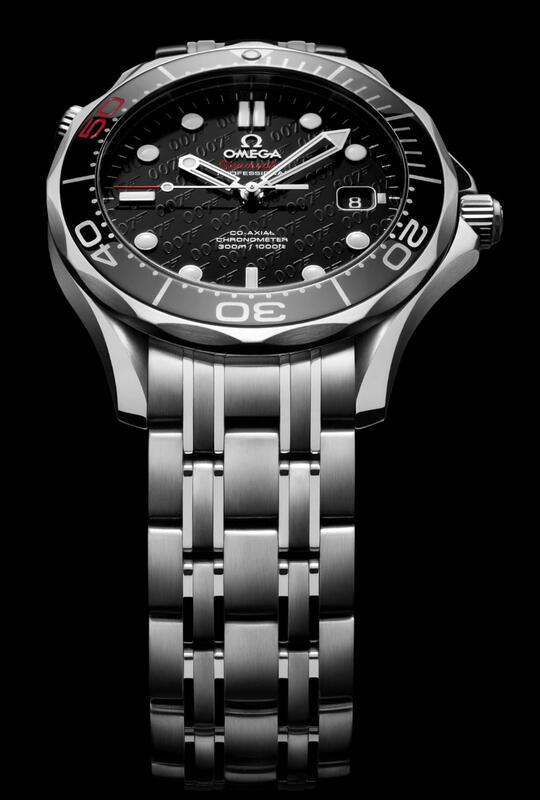 A few days ago Omega announced a new 50th Anniversary Edition of the Seamaster James Bond 300m. The new Bond movie coming out this year is called Skyfall, and this does not appear to be a movie edition of the 007 watch.. so we might be seeing two Bond editions of the Seamaster 300m this year! Beautiful watch. Some of the interesting features on this one are the red “50” marker on the new Ceramic dive bezel rings.. Yes, Ceramic! Very cool. If you didn’t figure it out already, the red “50” is to symbolize the 50th Anniversary. This new version has a Helium “He” periodic symbol on the Helium Escape valve, and also a combination of screws and pins now holding the new Bond Bracelet together. The photos seem to suggest that the new Bond Bracelet is a bit more angular and cut a bit better than before, giving it a fresher look. Awesome caseback, which is the true highlight of this watch in my opinion. The barrel rifling lines that are the Bond signature as well as the back of a bullet, complete with dimpled primer! The view of that would suggest that you are looking from the back of the barrel rather than the business end. 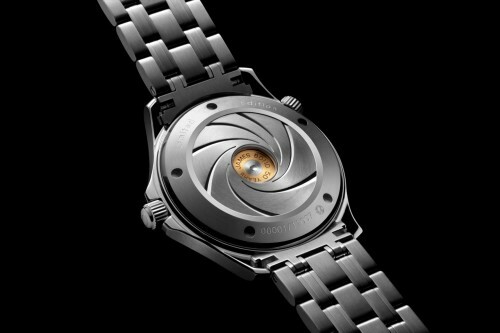 The watch will feature the Co-Axial Calibre 2507 from Omega, and come in two sizes, 41mm and 36.25mm. 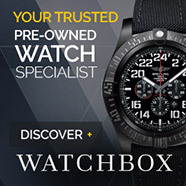 The 41mm version will be limited to 11,007 pieces, and the 36.25mm version will be limited to 3,007. I really like the detail and effort put into this 007 watch! Once again Omega make a watch that makes you want to get “shaken and not stired”. Another fine collection from Omega. I like the design in the back plate. Agree, love the fantastic design. Just got me one, even more beautiful in real life than the press photos. The watch face/dial’s 007 monograms only show at specific angles, and the dial otherwise looks glossy black. Beautiful! Congrats on the acquisition.